Update, Feb. 25, 2016 at 5:22 p.m.: An earlier version of this story incorrectly spelled Adriene Ludd’s name as Adrienne Ludd. 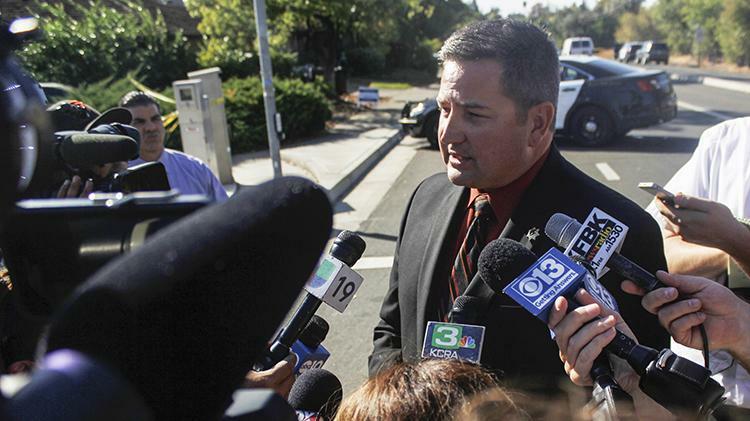 Update, Oct. 24, 2015 at 11:58 a.m.: In spite of the initial statements from Sheriff Scott Jones reported in this article, the Sacramento County Sheriff’s Department said Friday that Adriene Ludd, 36, never fired his gun at the police. Read an updated version of this story here. Update, Oct. 22, 2015 at 5:29 p.m.: This story has been updated to include information available in a press release from Sheriff’s spokesperson Tony Turnbull. A police shooting that left one man dead shut down a section of Cypress Avenue on Thursday afternoon, less than two miles from American River College. 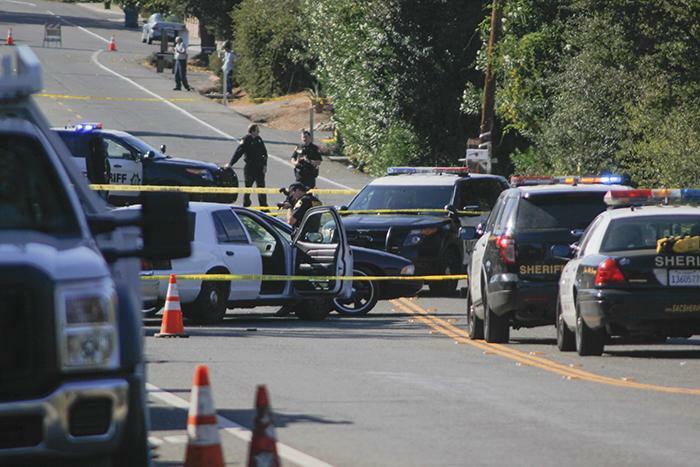 Sacramento County Sheriff Scott Jones said during a press conference at the scene that an unidentified 36-year-old man was killed by police after he shot at officers attempting to perform a traffic stop for expired registration. According to Jones, police tried to pull the man over at Manzanita Avenue and Winding Way, but he sped away. “(The man) sped through the streets, going through stop signs without stopping (and) driving in a dangerous manner,” Jones said. During the pursuit, the man stopped to allow a passenger to leave the car. The passenger left the car with his hands in the air according to a statement released Thursday evening by Sacramento Sheriff’s Department spokesperson Tony Turnbull. After speeding away from the police a second time, on Cypress the man stopped the car, got out and used the car as a barricade as he fired at three police officers. “The officers … returned fire on the subject. The subject went down,” Jones said. “The gun fell out of his hand and went some ways away; that subject started crawling quickly toward the weapon. Still sensing a threat, the officers again opened fire. For a time after that, the subject lay motionless on the ground. The man, who had served prison time for a criminal record, was pronounced dead. One of the officers has an injury, although Jones said it’s unclear at this time whether the injury was caused by a grazed bullet or something unrelated to the altercation. The officers involved are currently on a standard administrative leave. Be the first to comment on "One dead in police shooting near ARC"